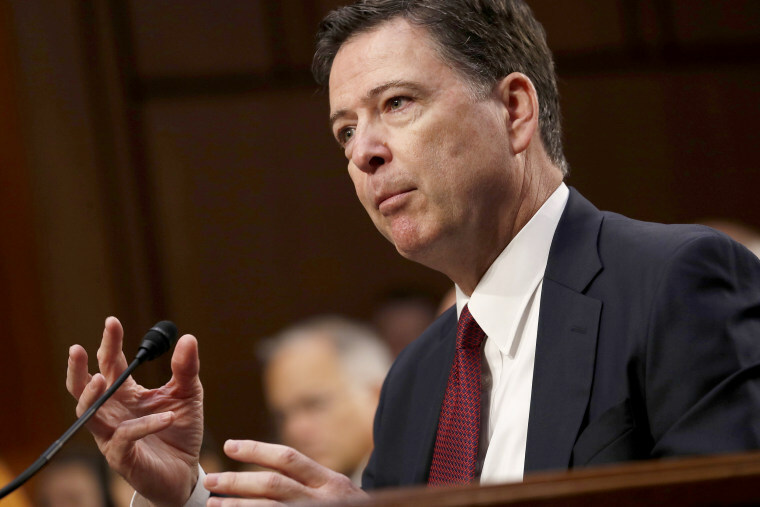 Comey reveals new details about his interactions with Trump and his own decision-making in handling the Hillary Clinton email investigation before the 2016 election. WASHINGTON — Former FBI Director James Comey blasts President Donald Trump as unethical and "untethered to truth" and calls his leadership of the country "ego driven and about personal loyalty" in a forthcoming book. He casts Trump as a mafia boss-like figure who sought to blur the line between law enforcement and politics and tried to pressure him regarding his investigation into Russian election interference. Comey writes extensively about his first meeting with Trump after his election. Others in the meeting included Vice President Mike Pence, Trump's first chief of staff, Reince Priebus, Michael Flynn, who would become national security adviser, and incoming press secretary, Sean Spicer. Comey was also joined by NSA Director Mike Rogers, CIA Director John Brennan and DNI Director James Clapper. He also reveals for the first time that the U.S. government had unverified classified information that he believes could have been used to cast doubt on Attorney General Loretta Lynch's independence in the Clinton email probe. While Comey does not outline the details of the information — and says he didn't see indications of Lynch inappropriately influencing the investigation — he says it worried him that the material could be used to attack the integrity of the probe and the FBI's independence. Could Comey's book complicate the Russia investigation? Comey's account lands at a particularly sensitive moment for Trump and the White House. Officials there describe Trump as enraged over a recent FBI raid of his personal lawyer's home and office, raising the prospect that he could fire Deputy Attorney General Rod Rosenstein, who appointed Mueller, or try to shut down the probe on his own. The Republican National Committee is poised to lead the pushback effort against Comey, who is set to do a series of interviews to promote the book, by launching a website and supplying surrogates with talking points that question the former director's credibility. Comey writes that he regrets his approach and some of the wording he used in his July 2016 press conference in which he announced the decision not to prosecute Clinton. But he says he believes he did the right thing by going before the cameras and making his statement, noting that the Justice Department had done so in other high-profile cases.